“The GHI Approved endorsement will give my customers further confidence in the product, whilst making us stand out in a very crowded market”. MasterChef Finalist Angela Langford was celebrating this week after her natural facial oil recipe, Bloom & Glow was awarded first place in the latest Good Housekeeping Institute (GHI) blind trials – and with it GHI’s coveted Approved Endorsement. Hand-made in Somerset England by Angela herself, Bloom & Glow is a cruelty-free nourishing facial oil recipe packed with super food ingredients including chia seed and sea buckthorn. The GHI Approved Endorsement is an unbiased, independent marque that is only given to products that pass the Good Housekeeping Quality Assessment tests. With their expert team of lab technicians testing hydration and their army of testers looking at design, ease of use, performance, and satisfaction, the GHI gave Bloom & Glow a score of 91/100 – coming top out of 25 other well-known luxury and high street brands - including the likes of Murad, Caudalie, ESPA, Elemis and REN. The GHI blind tests resulted in brilliant feedback for Bloom & Glow, scoring extremely well across the board, especially for its scent, how easily it was absorbed and how silky it left skin feeling. Suitable for all skin types, Bloom & Glow is a rose-gold coloured nourishing facial oil that blends together natural Vitamin E, organic Rosehip, Evening Primrose, Chia Seed, Sea Buckthorn and Rose Geranium. The result - an oil that can help rebalance skin that is out of kilter, calm and sooth red and inflamed skin and leave skin feeling soft, smooth and looking radiant. 2014 MasterChef Finalist Angela Langford has a love and talent for cooking that extends far beyond the kitchen, to her home lab in Somerset, England. 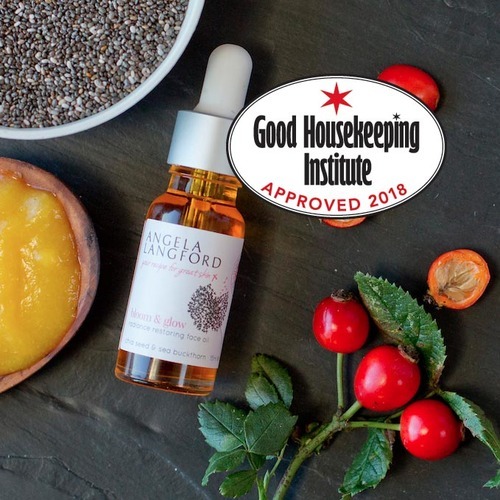 Angela takes the very best that nature’s larder has to offer, to create award-winning skincare recipes, hand-made by Angela herself in small batches. Angela Langford Skincare – your recipe for great skin. 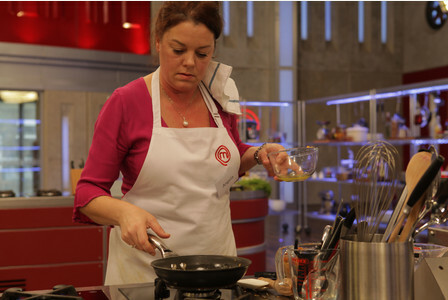 For press enquiries email Amanda Strutton at info@angelalangford.com or call 01460 929596. This press release was distributed by ResponseSource Press Release Wire on behalf of Amanda Strutton in the following categories: Health, Women's Interest & Beauty, Food & Drink, for more information visit https://pressreleasewire.responsesource.com/about.